Browsing articles tagged with "pinterest Archives - Kalpesh Mehta"
We all know that Pinterest is very popular and a great tool for marketing variety of products. It can give you huge traffic to your website resulting in incredible sales and revenue. It have almost all types of categories to hold your pinned images so that your product gets noticed to potential customers. It even has an option to specify the price of the product, which only gives you interested buyers to your website. If you have hundreds/thousands of products in your store and want to pin it on Pinterest it becomes very difficult, as Pinterest don’t provide multiple pinning of images. One by one pinning images is a nightmare if you have lots of products. 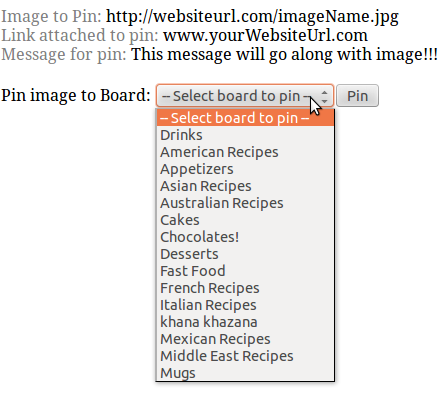 There is also no official Pinterest API which can allow you to auto-pin your images through some kind of API. Buy: Pinterest Auto Pin images right from your website! Pinterest has yet not released their API which can help developers to integrate to the system and autopin images directly from their website/blog. 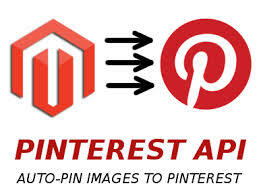 Yet, I have created an Pinterest API in PHP which will post your image to Pinterest with message, link and price.